To implement DSEAR (or any IEC EX based plant safety methodology) it is necessary to understand area classification and how area classification integrates with explosion protection levels (EPL’s) to provide an overall acceptable risk level. DSEAR (ATEX) is an integrated approach to classification, equipment selection and consequence mitigation requirements is vital to both project costs and plant safety, as failure to understand the repercussions of classification can be expensive or even fatal. ExVeritas DSEAR Training will provide everything you need to understand this normally complex subject with full support from an expert presenter. If you are responsible for a sites fire and explosion safety under DSEAR (even if you have subcontractors conduct some or all of the work) you must understand how it all fits together and what competences are required. 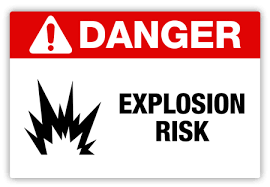 This 3 day course is designed to provide personnel with the skills to conduct ATEX, DSEAR and Explosion Safety reviews including Area Classification and Explosion Risk Assessment, ascertain plant explosion safety and compliance with ATEX 137, DSEAR and Mandatory Plant Safety. We will teach you not only how to conduct and area classification, but how area classification integrates with explosion protection levels to provide an overall acceptable risk level. This building integrated approach to both classification and equipment selection and mitigation requirements is vital to both project costs and plant safety, as failure to understand the repercussions of classification can be expensive or even fatal. This course is 3 days classroom theory with a marked examination and an option for competence verification. Many area classification courses only teach you what area classification is, not how to do it. When you leave our course, you will know how to calculate zone types and distances for most common situations. The DSEAR training is presented by a Chartered Engineer with 25 years experience in this field. He has previously developed area classification and explosion modelling software and will assure that the course content is relevant and applied with a practical bias. 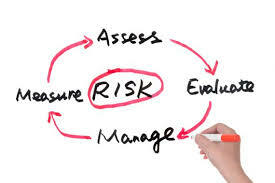 This course is aimed at safety staff or Health and Safety personal required to conduct area classification and risk assessment for their plant/equipment or consultants/contractors who wish to add area classification and risk assessment to their portfolio. Area Classification methodologies including fluid dynamics calculations, IP15 and ‘Blanket’ Methods. Assessment: A ‘Certificate of Achievement’ is Awarded to everyone who passes the exam (or attendance if no exam is taken). Competence Verification: Competence Certification can be issued based on assessment of workplace activities, assessment of workplace projects is quoted separately based on the level and scope of competence to verified. Competence verification is project based and quoted additionally based on the range of competences to be assessed. Please Contact us to book a place on the Course or click here and select the training button to get a quote for training at your location.